Boil the water, and salt generously. Add the pasta and cook as directed on the package. While the pasta cooks, thaw or heat the pesto. Chop the asparagus into ½ inch pieces. 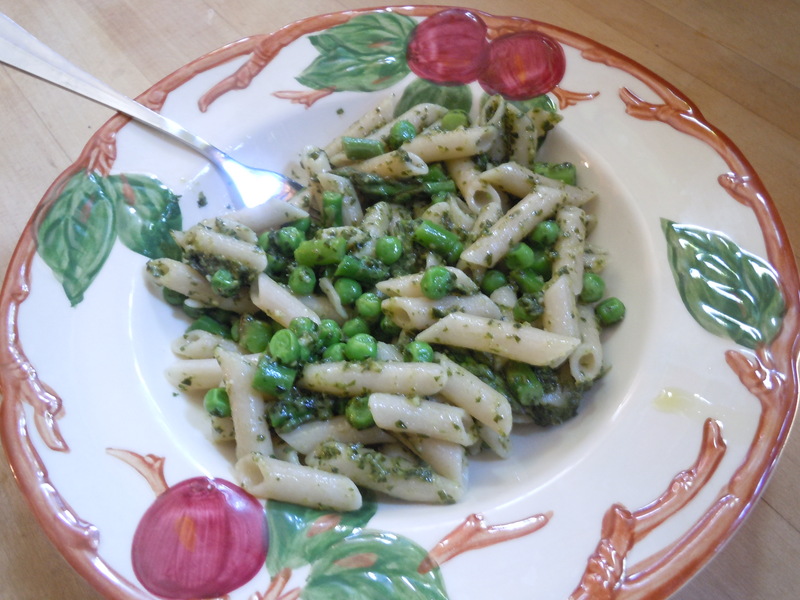 At three minutes left in cooking the penne, stir the asparagus and the peas into the boiling pasta. When the penne is al dente, drain and return to the pan. Add the pesto, and stir to coat thoroughly. I love every single ingredient in this recipe… this sounds delicious!